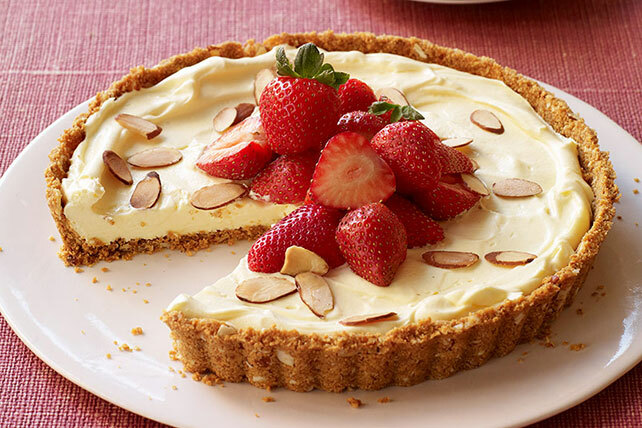 With its buttery crust and creamy vanilla filling, you'll get way more credit for this fruit tart than the 20 minutes you spent preparing it call for. Beat pudding mix and milk with whisk 2 min. Stir in COOL WHIP. Spoon into crust. Substitute 1 cup halved fresh strawberries for the mixed fruit. For stronger almond flavor, stir 1/4 tsp. almond extract into pudding mixture before pouring into crust.